“Executek,” “Matrix,” “Personal Computers Inc.” were among the names Jobs and Apple co-founder Steve Wozniak considered for their company, according to Walter Isaacson in his newly-published biography of Steve Jobs. Jobs proposed “Apple” after returning from a visit to All One Farm in Chimacum, WA where he had helped tend the apple trees. Who’s got the coolest expert? A fascinating dispute is unfolding between Apple, which claims the right to the trade name ‘App Store’, Microsoft, which says ‘app store’ is generic, and the expert linguists they have hired to present their respective cases. Microsoft filed its latest argument with the U.S. Patent and Trademark Office backed with the opinions of linguist Ronald Butters, who supports the software giant’s argument that the term “app store” was generic and shouldn’t be trademarked by Apple. Microsoft hired Dr. Butters to counter Apple’s own linguistic expert, Robert Leonard, who asserted that the electronics giant’s “App Store” was a proper noun and deserved to be trademarked, even though the words are generic when separated. Whatever the finer linguistic points of either case in this intriguing tussle over words and names, it is remarkable how Messrs. Butters and Leonard seem to be ideally suited to the brands they represent. For Microsoft, we have the worthy Dr. Butters, Professor Emeritus, English & Cultural Anthropology, at Duke University. 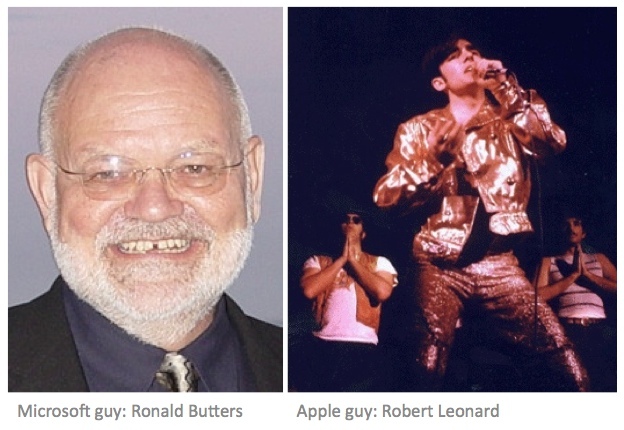 For Apple, we have Robert Leonard, a longtime Hofstra University linguistics professor. Oh, and he’s a founder member of Sha Na Na, the 1960s rock n’ roll group. Apart from helping to track down a serial killer and training FBI and international agents in forensic linguistic techniques, Mr. Leonard sang bass, wearing gold lamé and a pompadour hairdo, for Sha Na Na when they opened for Jimi Hendrix at Woodstock in 1969. Did I mention Dr. Butters is Professor Emeritus, English & Cultural Anthropology, at Duke University? An early encounter with a naming problem may have nudged Mr. Leonard towards his current distinguished career. The group began singing as part of an a capella group, The Kingsmen, at Columbia University in the 1960s. Another group with the same name hit pay dirt in 1963 with the song “Louie, Louie”. So Robert Leonard and Co decided a new, more distinctive name was in order. Sha Na Na was born. Get a job, sha na na na, sha na na na na. But back to the more mundane matter in hand – my non-trademark expert view is that while the term “app store” may be generic, many trademarks are combination of ordinary pieces. As the Economist points out, The Container Store is a registered trademark, for example. You couldn’t start a “container store” under that name without expecting to hear from their lawyers. I don’t know whether it has any bearing, but there is the ‘app’ word part from Apple’s name that might strengthen their case. Anyway, their expert is way cooler than Microsoft’s (no professional disrespect to Dr. Butters). What do you think? “App Store” or “app store”? Or should we all just get a job? Sha na na na, sha na na na na. 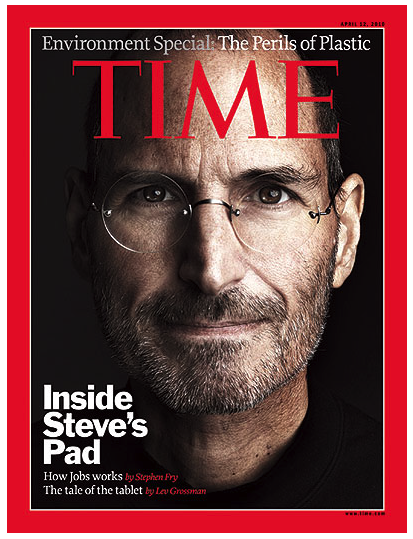 2011 will surely go down as the year Apple changed the face of the communications industry. In the space of just a few weeks, industry giants Nokia and T-Mobile have both crumpled under the Apple tsunami. Now Acer, the world’s No. 2 PC maker by shipments, is the latest to feel the pain. Yesterday it was reported that Gianfranco Lanci, Acer’s CEO, resigned as part of the company’s efforts to reorganize its operations to tackle the rising challenge from Apple’s iPad. The management change comes after Acer revised its first-quarter earnings forecast downward last week amid increasing concerns about sluggish demand for notebook PCs globally. The iPad is beginning to eat into the notebook and netbook markets, in which Acer has strong positions. Three weeks ago AT&T announced its plan to acquire T-Mobile, the 4th largest wireless carrier in the United States. Most of the news focus was on AT&T and it’s need for spectrum and network quality to stem the dropped calls for which it has become notorious. What had made T-Mobile so amenable to the merger was the advent of the iPhone. Customers weren’t having any problems with the T-Mobile network. The problem they had was that they wanted the iPhone and T-Mobile couldn’t offer it to them. So they left in droves. T-Mobile’s reported a net loss of 318,000 customers in the last three months of 2010, which is more than twice as bad as the 117,000 customers lost during the same time period in 2009. 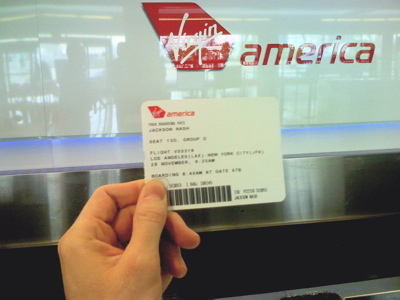 It followed the 60,000 customers lost in Q3 2010. T-Mobile failed to convince subscribers that it had a phone worthy of consideration over the iPhone and paid dearly for it. When Verizon started carrying the iPhone on February 11 the game was evidently over. Coincidentally, on that same day, the CEO of cell phone giant Nokia announced a deal with Microsoft to use its Windows 7 software in an attempt to get back into a game it once dominated. In a now famous “burning platform” memo to employees CEO Stephen Elop identified the cause of Nokia’s problem: Apple. Nokia’s share price has fallen by two-thirds since then as it tried, unsuccessfully, to produce an iPhone killer. In the meantime, low-cost Chinese manufacturers, using Google’s Android software, have eaten into Nokia’s sales of basic handsets in emerging markets and are moving up the value chain quickly, commoditizing the entire industry in the process. Where Nokia and Acer (and Motorola) see devices, Apple sees creative connections. Apple has blurred the distinction between phones and computers, integrating them both into a mobile computing platform which is wrapped and delivered in the Apple brand experience. 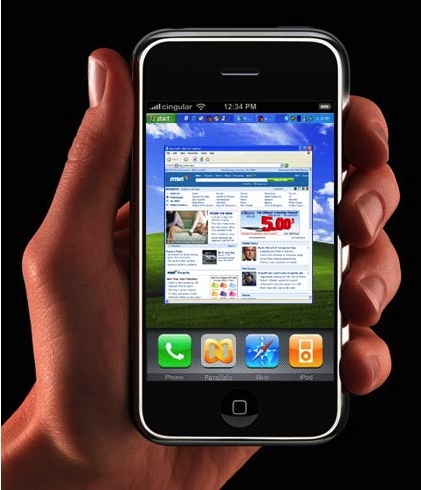 The iPhone is a full-blown computer with touchscreen technology that turns the mobile Internet into a user-friendly experience. The apps that began appearing in 2008 enabled people to customize their iPhones to suit their lives. 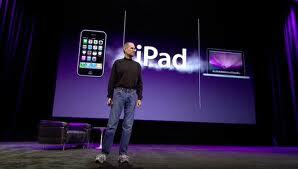 It was the precursor of the iPad, which in itself has moved the game forward (as Acer would affirm). Both are natural expressions of the Apple brand ecosystem – form and function are seamlessly linked and forged into objects of desire. Expect to see news about Apple TV soon. The power of the Apple brand is in its ability to create desire, to generate demand and to open new markets. Others can only follow, chasing market share with me-too products sold through low grade, third-party retail experiences. Apple has already revolutionized the music industry with the iPod and iTunes store. One year ago the store served its 10 billionth song download; a milestone was reached in just under seven years of being online, making Apple the largest music retailer in the world. This communications revolution is just beginning. This video of Steve Jobs is always worth a view, if only as a reminder of the foundational philosophy behind the Apple brand. Pardon the puerile analogies. Of course you know what these kind of ‘pads’ are. So, to force such interpretation of their meaning through association with a feminine hygiene pad would be perverse. But that’s no worse than what happened this week with Apple’s iPad. Within seconds of the unveiling of the iPad by Steve Jobs, Twitter lit up with women complaining and/or joking that the name immediately made them think of …iTampon. “They needed to do a research protocol and testing for a product that would offend no one while making clear its technical, functional and emotional benefits,” he said in the Pittsburgh Post-Gazette. That may be the way they think in the literal world of management consulting. What he clearly does not understand is that, when it comes to names and naming, experiential context is everything. Just is we do not suppose a cell phone is for making calls in jail, that Virgin Atlantic is an airline for the sexually inexperienced, or indeed Apple is a company that manages orchards, the iPad will create its own context and it will be become just as familiar and accepted as iPod. The trap to guard against with new names is the natural tendency of people to associate an unfamiliar name with something that it is familiar. The statement that begins, “It reminds me of…” has led to the premature dismissal of many a good name candidate. Associations are important, but focus should be on whether the the product or company that is being named could create new, positive meaning around the word, rather than rear-view association. There’s nothing that can be done with plain bad names, such as the Ford Probe. But just imagine if iPad had been called the iTablet, which some bets were on before the launch. Would alarmed physicians be advising us not to use one more than a twice day, and then only after meals with a glass of water? Of course not. They know what hypochondriasis is. What was that name again, Steve?